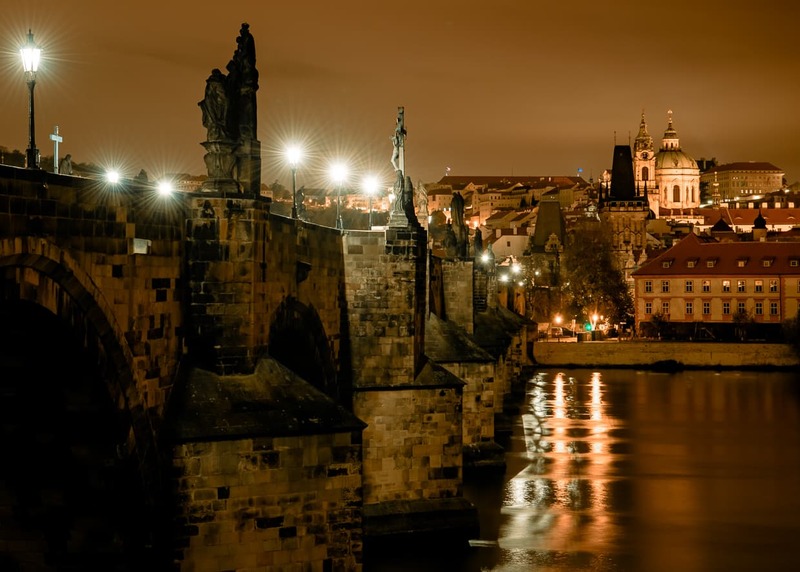 The Charles Bridge is one of the most iconic sites in Prague, the capitol city of the Czech Republic. 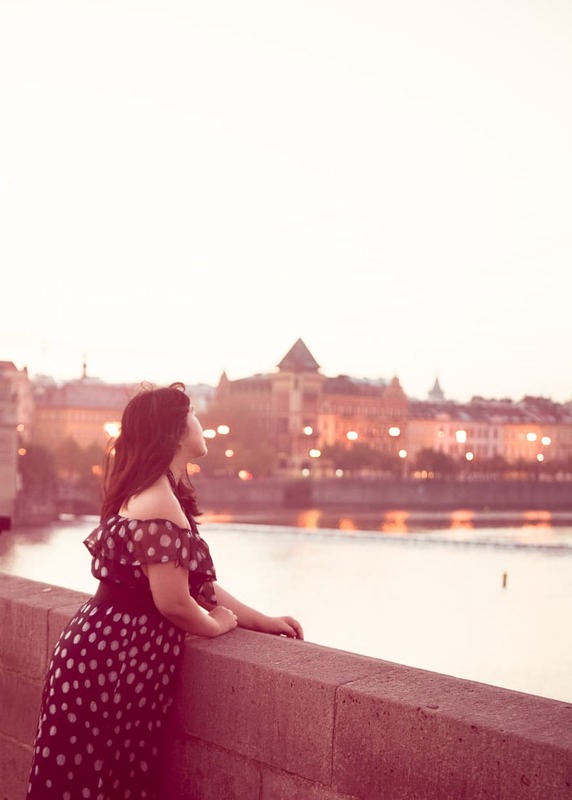 It crosses the Vltava River, allowing thousands of tourists a day to travel between Prague Castle and Petrin Park on the West bank and the Prague Old Town on the East bank. 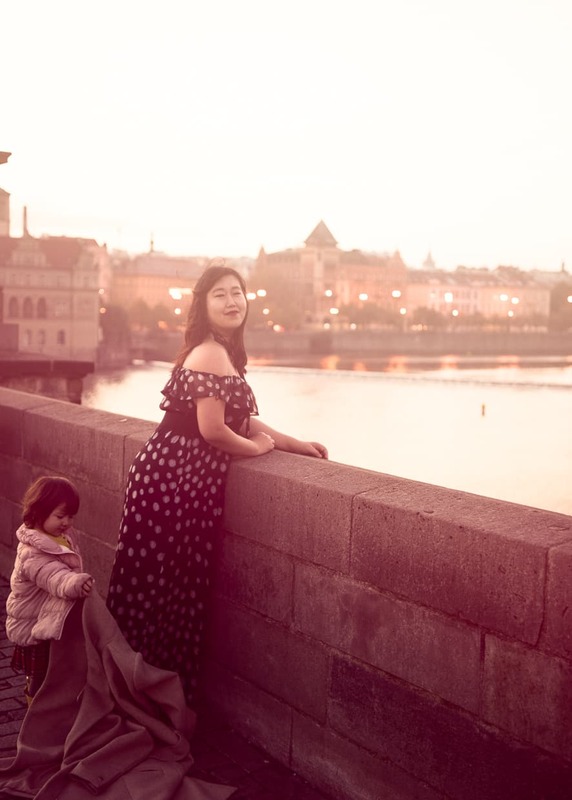 We spent the month of October in Prague during our year of slow travel in Europe, and though the Charles Bridge was our number one photography target while we were there, we found it to be one of the most challenging sites in the city. It’s easy on the eye, but capturing a dream image there is tougher than you might expect. The Charles Bridge is a popular attraction for photographers because of its unique appearance. It’s an old bridge, long and straight, lined with statues every few meters. 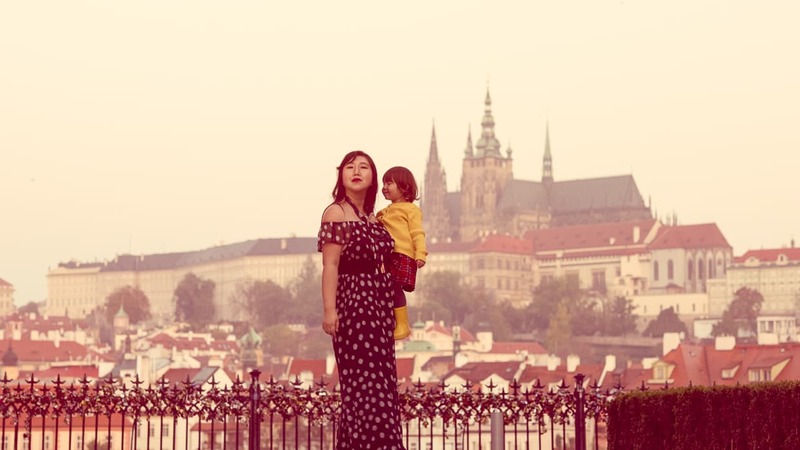 On one end, the hills rise up with Prague Castle and Petrin Tower in the background. On the other end, the horizon is dominated by the towers and domes of the Old Town. We wanted to photograph the latter, and we wanted to do it in our usual style, capturing Dannie and Lisa exploring the beautiful scenery. We were prepared to walk 45 minutes from our Airbnb to get there when the lighting was good, but it turned out that the morning hike was far from our biggest obstacle. The East side of the Charles Bridge has an excellent view of Prague Castle across the river. The first (and lesser) obstacle to our Charles Bridge photo was the weather. Our visit was in October, and by this point, the temperature was dropping and we were getting more and more rainy weather in Europe. Bad weather isn’t automatically a problem for photography. We’ve gotten our share of good photos in lousy weather (sometimes it’s even an advantage), but it does add a layer of extra pressure to any situation. It means we have to work quickly when we are out with our daughter. We can’t take for granted that she is comfortable when the air is cold and the wind is blowing. It also means that when Dannie and Lisa take off their coats to pose for a photo, I’ve only got a minute or so to get it right before they cover up again. To reduce the stress. caused by the cold, we took an Uber to the bridge when we went for our photo shoots. But that didn’t solve all of our problems. The rainy and cloudy weather also meant that there was no hope of sunrise or golden hour lighting. We were hopeful, however, that the wet weather would at least make the stones glisten under the streetlights. Look Up: Sometimes the scenery is tall! 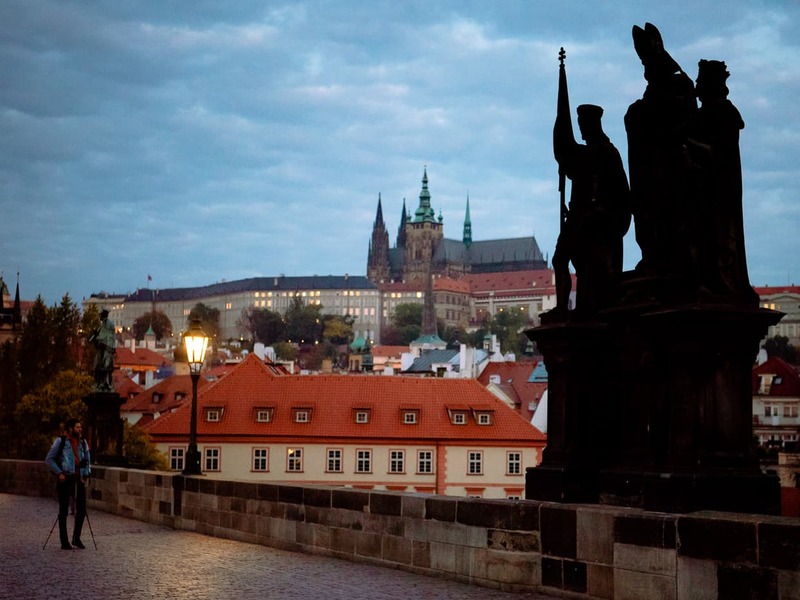 Architecture, mountains, sunrises, or in the case of the Charles Bridge, statues. Of course, you lose some of the context, but if you don’t want a bunch of silly tourists clogging up your camera, this does technically work. Shoot From a Distance: If you can’t make the people go away, you can at least make them look smaller. When the site you are photographing is large and dominant in the image, the people around it can look like colorful grass when you are far away. 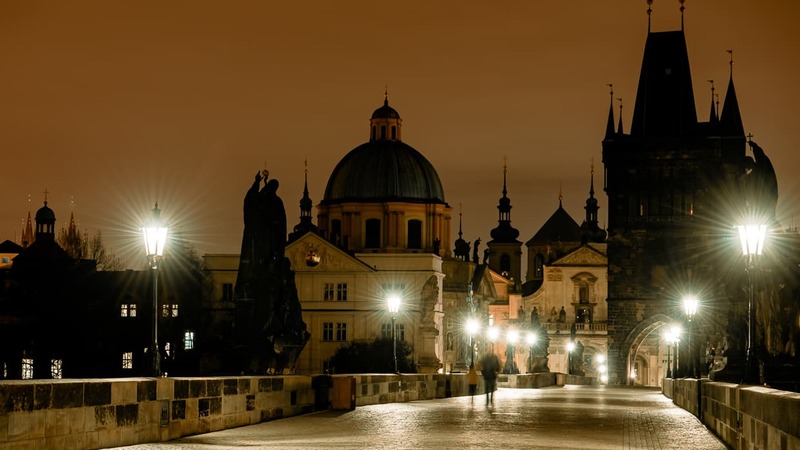 For the Charles Bridge, you can shoot up from the sides of the East Bank, or down from Petrin Park. Use a Long Exposure: When you keep your camera shutter open for a long time, moving objects start to get blurry. If you keep it open for a very long time, they disappear entirely. 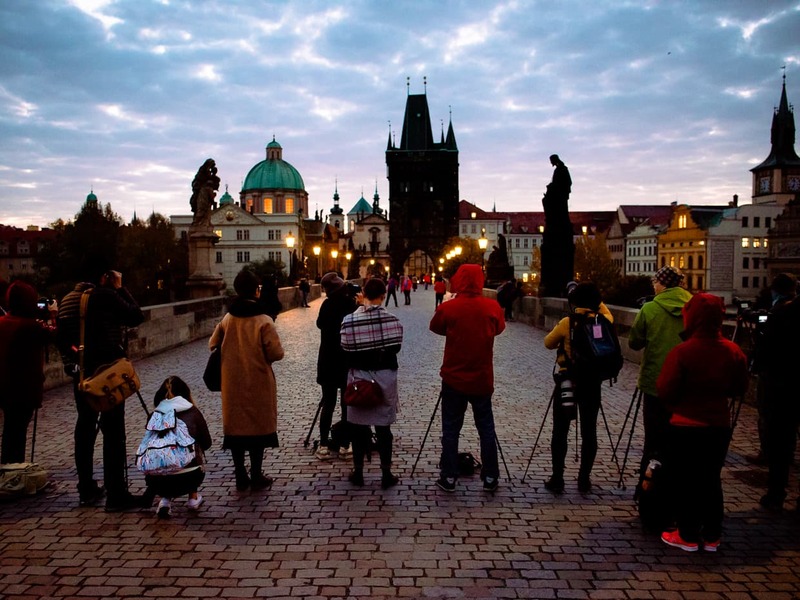 This strategy can eliminate a few tourists, but in order for it to work you have to be using a tripod, and the tourists have to be moving. Layer Multiple Photos: You can use photoshop to layer images and remove people. 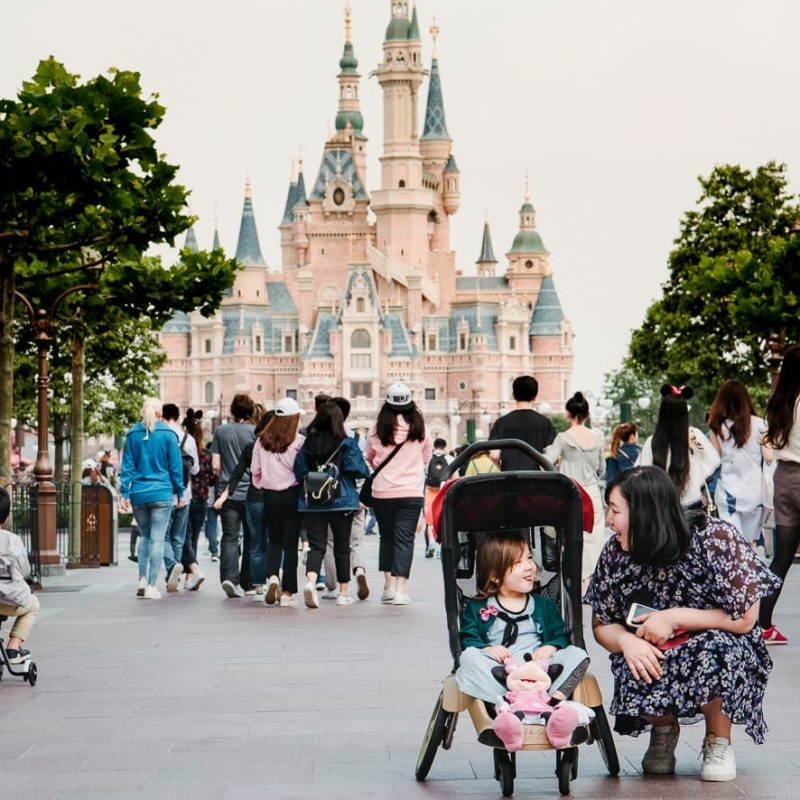 You do this by taking lots of photos with the same composition (except that the people move around) and then essentially using the unobstructed portion of each photo. Much like the long exposure strategy, you will need a tripod and the tourists have to be moving around. Embrace the Crowds: Sometimes the mob so dominates an experience that it becomes the experience. A photo of a really crowded attraction is an art form in and of itself. Remember to hold your camera up high so that you can see over their heads and capture the sheer volume of the masses. Also, try to get at least a little bit of the scenery so people can tell where it is. Come Back Later: Actually, you usually have to come back earlier. Crowds are generally thinner in the early morning. Tourists are usually on vacation, and nobody likes waking up early on vacation, except for people who are serious about photography. Understand Your Camera: A lot of these strategies involve using manual mode photography. If you don’t know how to use that yet, I’ve made it really easy to learn in my e-book, Easy Manual Mode Photography. I’ve stripped away all math and memorization to give you the simplest way to control your images. Yes, Chinese Photography Tours. That’s photography tours for Chinese people, as opposed to tours of Chinese photography. 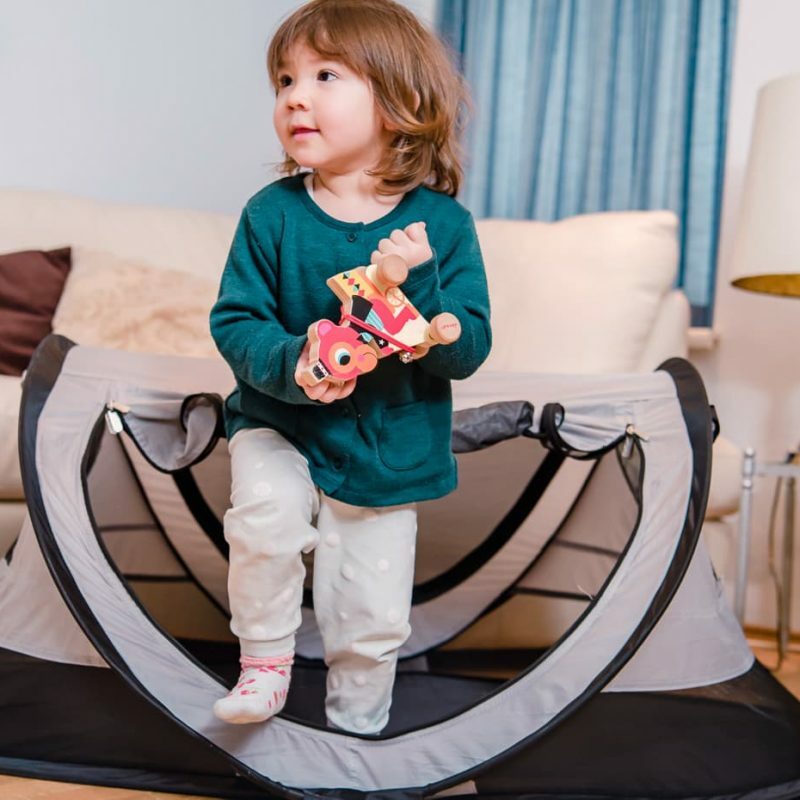 This was something completely new to us, and not something we were prepared for. We were well acquainted with Asian tour groups, which are a bit of a phenomenon, even in Europe. We saw them in every European city we visited – even Dubrovnik in January – and we even joined one while we were in China in 2013. But those were all sightseeing tours. They moved from place to place, listening to a flag wielding tour guide on headphones. 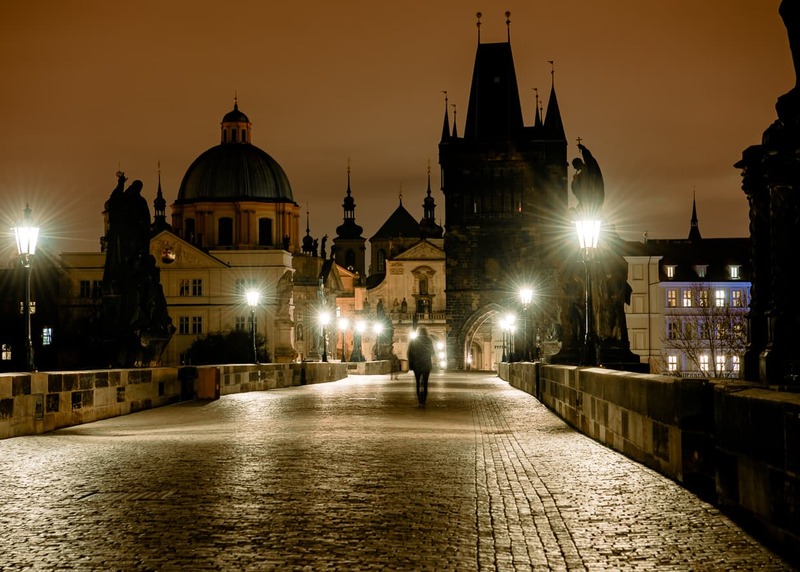 What we encountered on the Charles Bridge was something different. After doing our usual scouting during the day, Dannie and I got up early and returned shortly after dawn to get our family photos. 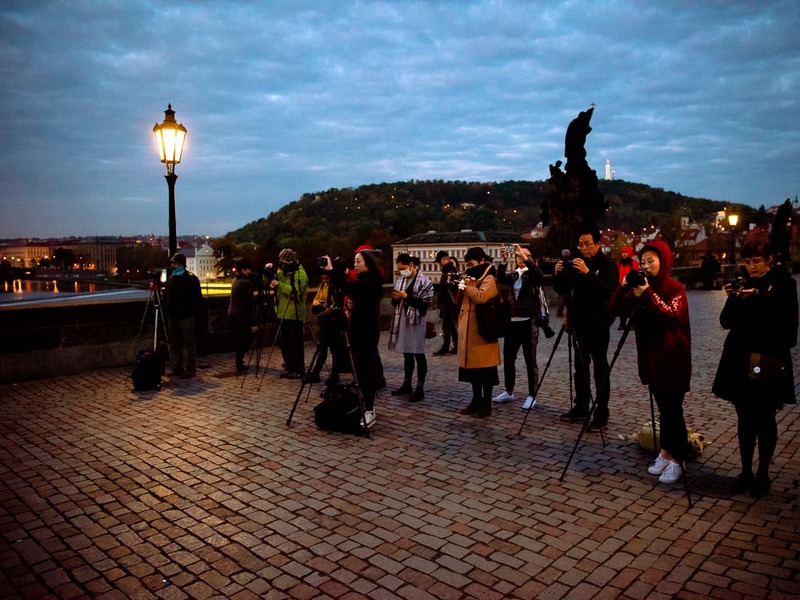 It was around 7:00 in the morning, and the tourists on the bridge were sparse… except for the wall of Chinese photographers and their tripods, packed two rows thick, from one side of the bridge to the other. They weren’t walking around looking for angles, they weren’t listening to a tour guide, they were just sitting in place, waiting and occasionally snapping the exact same photo. Behind them were guides or teachers holding clipboards. We stuck around for about thirty minutes, hoping they would move, but the wall remained well after the bridge began filling with other tourists. After that experience, we were frustrated, but not deterred. Sometimes you get unlucky, but you just have to try again. In big cities, weekend mornings are usually better than weekday mornings since commuters get up earlier than tourists. We’d made our first attempt on a Sunday, and we hoped that maybe the photography tour was a weekend thing. We came back the next morning, and sure enough, there they were again in the same position. Incidentally, Dannie recognized their accents, and told me that the photographers were mostly from Beijing. It wasn’t clear whether they were the same people who had blocked our view the day before or whether it was a new group going through the same exercise. An otherwise lovely view of the Prague Old Town from the Charles Bridge! None of our strategies were working. Because we knew what composition we wanted, we weren’t really willing to compromise much on where we were standing or which way we pointed the camera. Because the tour groups weren’t moving around, we couldn’t wait for them to leave, use a slow exposure, or layer multiple images in Photoshop. We only had one option left, which was to come back even earlier! We returned the next day, a full 30 minutes earlier at 6:30 AM. The sun wasn’t up yet, and it was still dark. It was also a little bit rainy. To our shock, the wall of photographers was already there. In the dark. In the rain. With umbrellas over their camera gear. Just like the previous visits, a few other tourists were mulling about behind the human wall, holding their cameras and tripods, wondering how they were going to get a photo. Very few people stepped in front of the line because 1) it feels awkward and rude to set up your own tripod directly in front of another person’s tripod, and 2) the wall was so close to the end of the bridge that getting closer meant having almost no bridge in the shot. Fun With Game Theory! The location that the Chinese photography tour had chosen was actually not great for photography. It was so close that they could only get a couple of the many statues in their photos. But they were in the exact location that game theory predicts they would choose. If they were farther back, other photographers would probably set up in front of them, obstructing the view that they had been promised. This meant that they had to keep moving forward until there was essentially no view to be had if they moved any closer. It meant that their photos were suboptimal and everyone else’s photos were terrible, but it was an equilibrium and they couldn’t move. In that one spot, they owned the Charles Bridge! Read about how we all let game theory ruin our lives! We snapped a few photos from way behind the other photographers, but even using a flash on Dannie and Lisa so that the background would look darker, we could still see a bunch of people just hanging around, sucking the magic out of the scene. That tour group was essentially monopolizing the Charles bridge for an hour and a half at the best time of day. 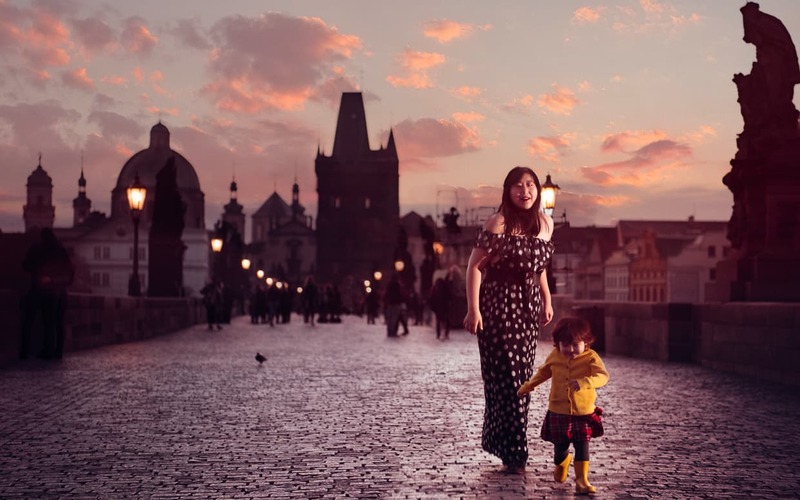 Because we weren’t willing to wake our two year old daughter up any earlier, especially after so many early mornings in a row, we decided that the best solution was for me to just go by myself and get some photos of an empty Charles Bridge. I decided to abandon all hope of good good lighting and just make sure I had an unobstructed shot. I showed up over an hour before dawn and took my time, exploring the compositions and enjoying the quiet morning. There was one other photographer on the bridge, but we basically took turns setting up our tripods and moving around, making sure that we weren’t in each others’ way. Because it was so dark out but the street lights were so bright, I took multiple photos of each composition at different exposure levels, knowing that Dannie could either use tone mapping or HDR software to combine them into a single image with no blown highlights or deep shadows. Overall, it was a successful photo shoot to cap a largely unsuccessful mission. Dannie and Lisa weren’t in the photos, so I was a little disappointed, but it’s not like we were going to leave without memories… even if they weren’t the memories we had in mind. 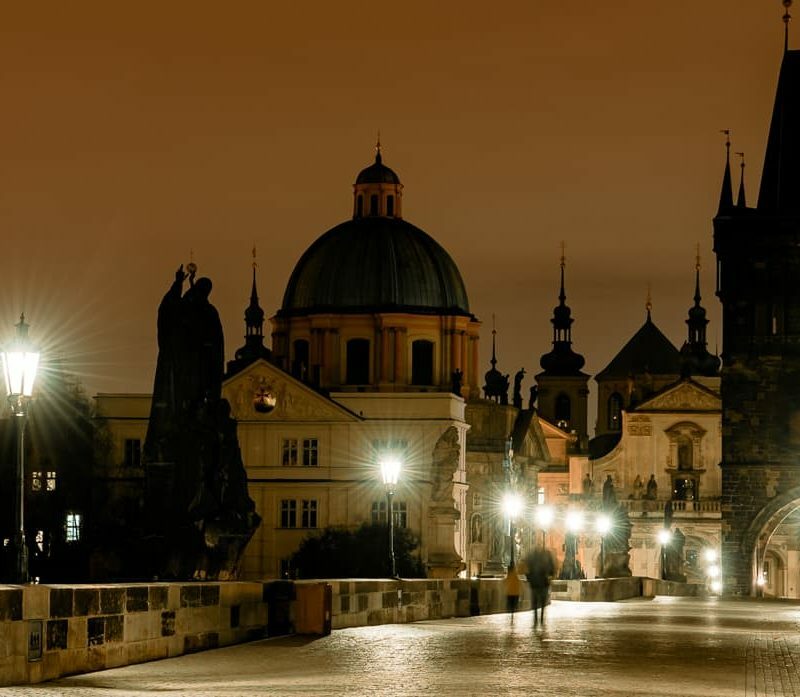 At night, the lamps light up on the Charles Bridge. 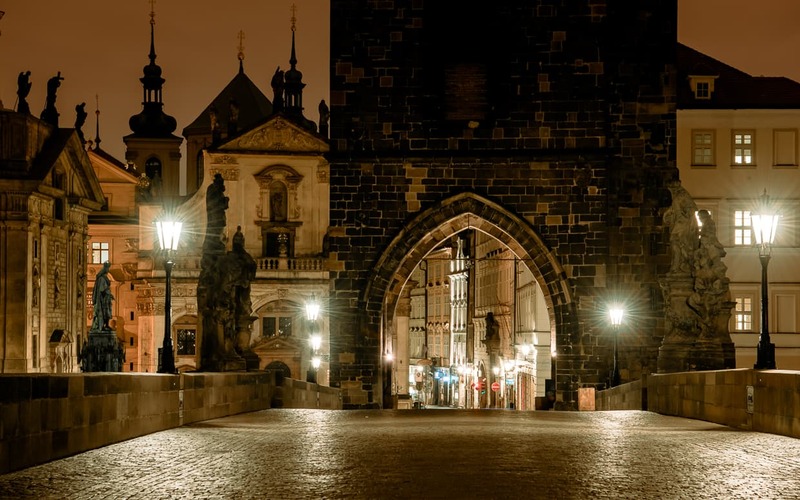 Prague is a beautiful city. 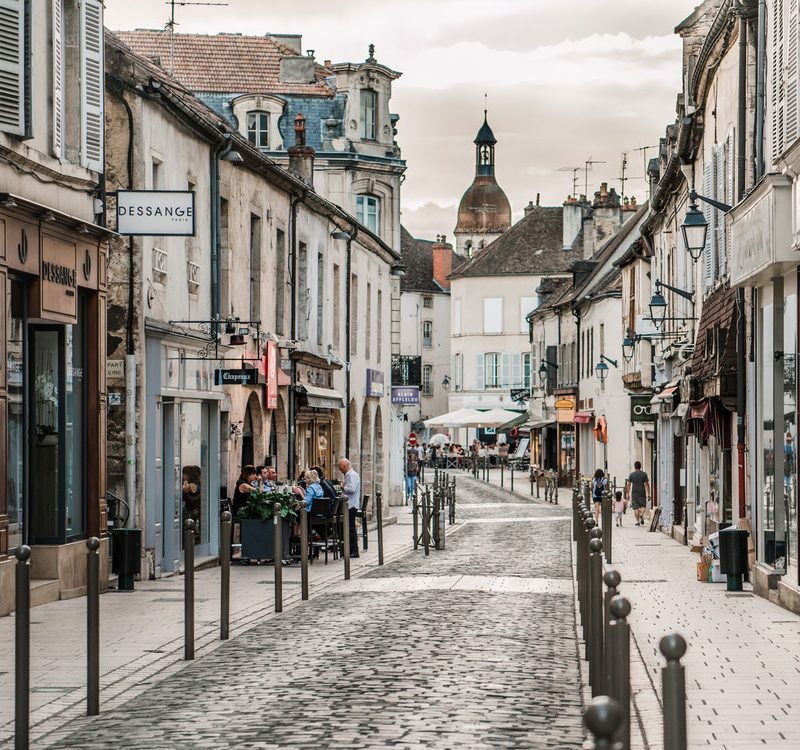 To learn where else we’ve been over the last year or so of full time travel, check out our travel destinations (some of them are even really easy to photograph)! If your interested in how we are monetizing our travel blog to support our adventures, check out our monthly post, Operation Digital Nomad.